Pts Crafts is the best solution for Decor, Furniture and Crafts shop. The Prestashop theme comes with flexible layouts system, all pre-built shop pages and number of CMS pages. 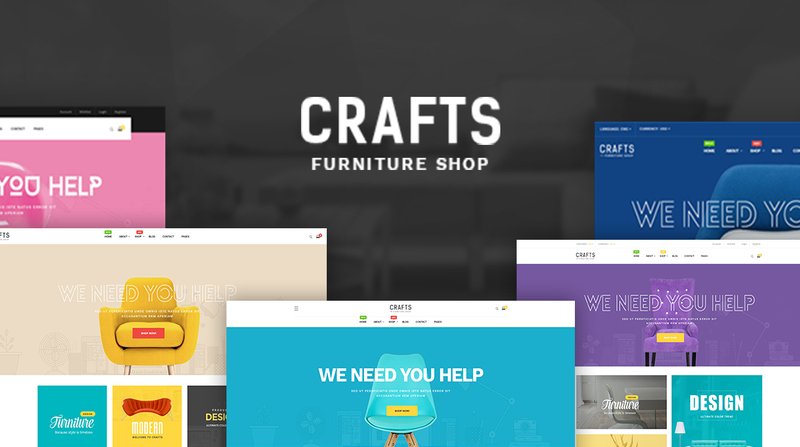 Pts Crafts is based on powerful framework and its built with the best Prestashop Page Builder with 50+ widgets integration. The theme supports multiple extensions: Layer slider extension, Blog platform and it has powerful theme control panel with useful built-in functionalities. The responsive Prestashop theme is fully responsive at core, every single element is designed to have outstanding look and feel in Desktop, Tablet and Mobile. The intuitive theme control panel, optimized & well structure code base makes the theme easy to use and customize.